If there were ever a rare production Lincoln, this is it. Only 117 of these exclusive models were built were built in a two week period from February 9 to February 21, 1998 among 858 regular production cars. This model had a special option code 54K - the "Spring Feature Car," prepared for the 1998 Spring Selling Season. 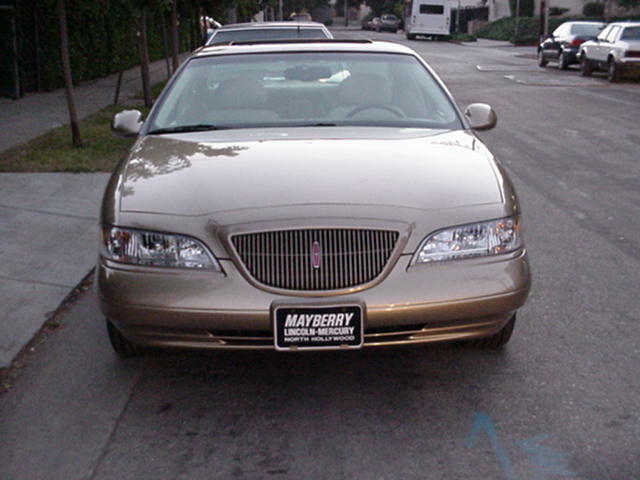 It was done in exterior color code BH - which was a "pull-ahead" color that would make its début on the 1999 Lincoln Continental, where it would be a Continental "Exclusive" paint, not shared with any other 1999 Lincoln vehicle.The color was called "Medium Gold Metallic". In addition, this Spring Feature Car wore the same gold grille badges that would show up on the Collector's Edition very shortly. The "32 Valve In-Tech V8" rear tail lamp nomenclature was done in gold, as was the "LINCOLN, nameplate on the right side of the tail lamp. This is different than the later 1998 Collector's Edition which were all LSC models, and had gold "LSC" lettering instead on the right side of the taillight. 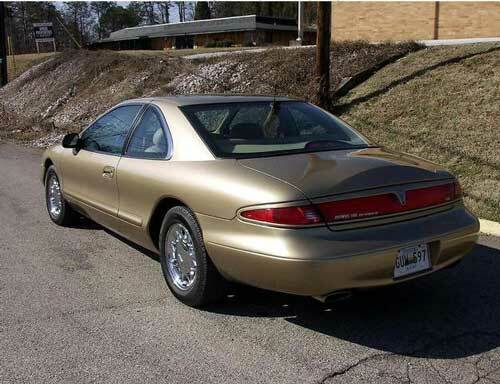 Some of these cars, when equipped with the optional chromed OctaStar wheels had special gold Lincoln Star wheel centers, similar to that on the Collector's Editions where it is in black plastic. The Spring Feature Car was available with DW, ZY or ZQ Interiors. No numerical breakdown was performed, due to early termination of this package. Using the above percentages as a 'guide' -- it is probable that of the 117 made, some 39 had the Midnight Black Interior(DW), 49 probably were made with the Light Prairie Tan Interior(ZY), while 29 got the Ivory(ZQ). Lincoln sent out a one page 8 x 11 flyer with no photo in December of 1997 to all the Lincoln dealers. The dealers never received a photo of it! The production run was very short, as they had to end it to make room for the Collector's Edition. They collected all the orders submitted from over 1,600 Lincoln dealers, which totaled only 117. They built them over a two week period, (Non-sequential VIN's) - and that was it! IF a customer wandered onto a Lincoln dealer's lot, in say April, and saw one, and wanted to place an order, say for one with a different colored interior, it was tough luck!! NO retail buyer ever ordered one. Only dealers ordered them. They were never even released, so to speak, to the public, they just suddenly showed up at the dealer (who happened to have order it in December of 1997). Being a Base model only, they came with directional wheels, but not chrome. However, OctaStars, which were all chromed, were an option! With the OctaStars, the center Lincoln Star was gold. Only Eight (8) were made. It can therefore be assumed that 109 had the other wheels. Incidentally, the 8 cars with the gold stars on the OctaStar wheels also had a really rare package, called Gold Ornamentation Group, code 54K. It was only available on the Spring Feature(with code BH-Medium Gold Metallic) When ordered in combo with the OctaStar wheels, then the 54K was included, no charge. The above picture is a rare publicity picture of the model. The picture was found on the Internet in 1998, but its original location cannot be recalled. If you happen to own or spot one of these ultra rare beasts, we would love to get a picture. If you do own one of these cars, don't switch the wheels, as you will not find a more exclusive wheels. In fact, don't change anything, as you will not find a more unique car unless you build it yourself. 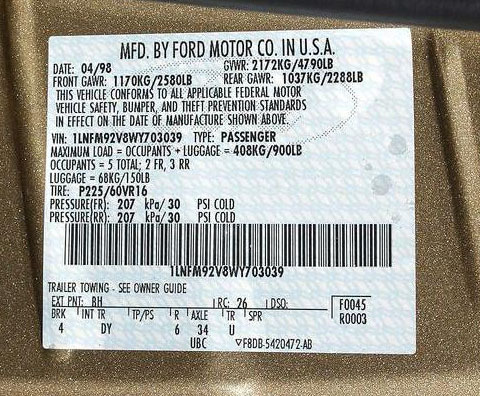 This is the data plate on a Spring Feature Car. Note the paint code "BH," which is only found on the SFCs. Note also the April 1998 build date. Some Spring Feature Cars were obviously made after February. Spring Feature Car LSC owned by Ron Monday. Spring Feature LSC Collector's Edition Car owned by John Rutenberg. Lincoln never made a Collector's Edition of a Spring Feature car, but this is what it would have looked like. John restored this original Spring Feature Car to new condition using some Collector's Edition parts. Click on the image above for more pictures of this amazing car. A few Spring Feature Cars have turned up as LSC models, so they were some obviously built as such. 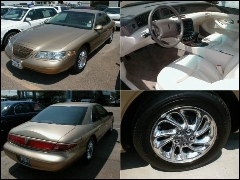 If you have any pictures of these or other rare Mark VIII, send it to us, so we can post it. Information compiled by Sandy Block.